The aroma of a cooking Thanksgiving dinner is enough to make anyone’s mouth water. Living down in Florida, it might not feel like autumn outside, but we know that it’s Thanksgiving by the delicious smells wafting through the house and even drifting into the neighborhood. The turkey in the oven, the mashed potatoes slathered in gravy, the stuffing making your stomach grumble, and let’s not even get started on the dessert. Being able to create the ideal Thanksgiving meal is delicious, but it can also be time consuming and in this busy, busy world, you probably want to cut down on the amount of time you spend cooking and cleaning. You have relatives that come in and try to take over cooking and baking. You have kids that are running around the house while you try to cook, your parents are trying to control everything going on, and you’re trying to make sure dinner is ready on time. 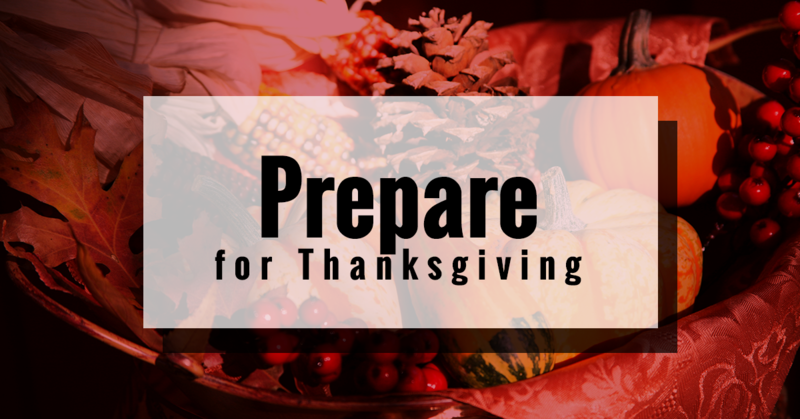 While it’s nice to have a home cooked meal, it can be more beneficial to pre-order a Thanksgiving meal to eliminate all of the craziness you might be experiencing on this holiday. When you come to Joseph’s Classic Market, you can take advantage of purchasing fresh food for a great price. Instead of spending hours and hours making sure your meal is perfect, you can get prepared for Thanksgiving by purchasing our pre-made meal. What do you love to eat in your Thanksgiving meal? Do you love the mashed potatoes slathered in gravy? Do you enjoy eating the homemade stuffing? Is your favorite part the turkey? Whatever your favorite part of the meal may be, when you order your Thanksgiving dinner from Joseph’s, you’ll be able to enjoy all of your favorites and more. When you order a Thanksgiving dinner from Joseph’s Classic Market, you can expect to get an appetizer, side dishes, and, of course, the delicious Turkey. For you, this means not worrying about cooking anything or cleaning. You can sit back and enjoy your day off when you purchase our Classic Thanksgiving dinner. If this isn’t a fresh food Thanksgiving dinner, then we don’t know what is! Don’t you want to spend a few days relaxing with your family? Aren’t you tired of slaving over the oven year after year? If you want to take time to spend with your loved ones during Thanksgiving, then we encourage you to purchase a Classic Thanksgiving dinner from Joseph’s Classic Market. When you order a classic dinner from us, you can feed at least 10 to 12 people. The food is high quality and fresh. In addition, all you need to do is pick everything up from our Boca Raton or our Palm Beach location. When you order now, you can get a great deal and not have to worry about getting ready for Thanksgiving. Take the time to spend with your family this holiday season instead of spending it in the kitchen.